4 layers meat storage shelf is made by stainless steel sheet and tubes. 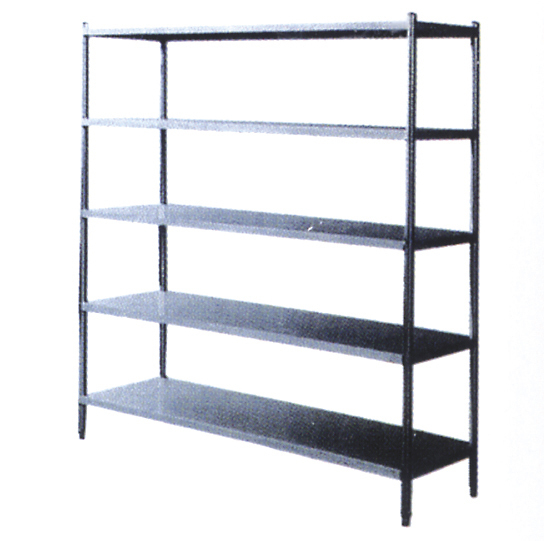 Shelf bearing weight is 300kg, 75kg on each layer. It is used in meat storage room, with temperature about 4-18 degree below zero. Widely equipped to cattle slaughterhouse, sheep slaughterhouse, pig slaughterhouse, etc. Dimensions can be customized with your requirements. ZBHT Slaughtering Machinery Co.,Ltd. manufacturing high-quality 4 Layers Meat Storage Shelf and supply OEM, ODM service according to your personal requirement. Our 4 Layers Meat Storage Shelf and other Auxiliary Equipment And Tools is not only good in quality but also competitive in price, welcome to inquiry us about the details of 4 Layers Meat Storage Shelf or other slaughtering machine products and accessory equipment.